Do you know that Soy beans and milk is actually very beneficial to our skin and hair? Because soy beans and soy milk are significant sources of protein, they become a much-needed nutrient for good health, particularly for the hair and skin. Keeping this in mind, soy beans is the key ingredient in the new SANA Namerakahonpo Cleansing range. Let's have a look at good their cleansing skills are. The SANA Namerakahonpo Cleansing Mousse dispensed out as a thick bubble of foam. This fluffy foam of soymilk makes the skin soft and smooth after the wash, making sure it doesn't dry our skin out. The main ingredients in this Cleansing Mousse are Soymilk fermented liquid, Soybean protein and Soybean Seed extract, signifying the all-natural ingredients in this cleanser. 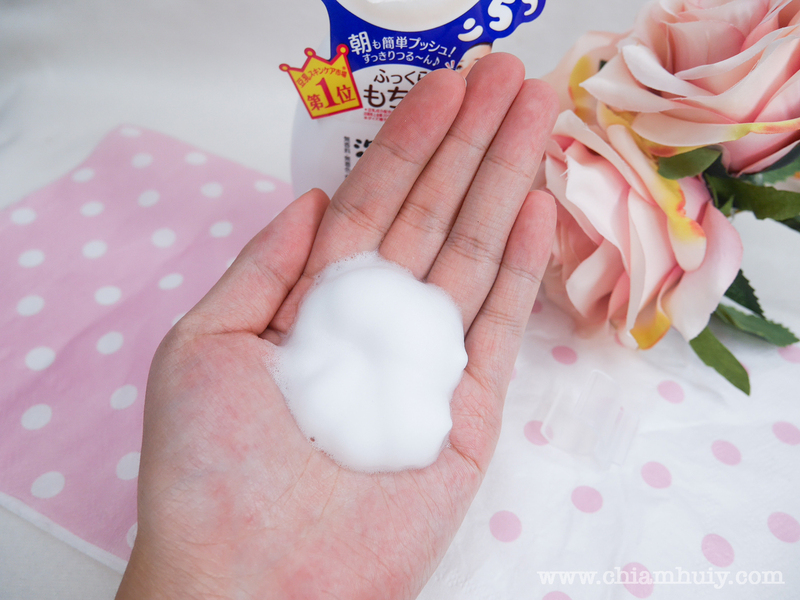 You can tell this cleansing mousse sure does feel foamy and airy! Look at the infinite number of tiny bubbles on my palm. When come into contact to my skin, it feels very very soft. Moving on to SANA Namerakahonpo Cleansing Milk. 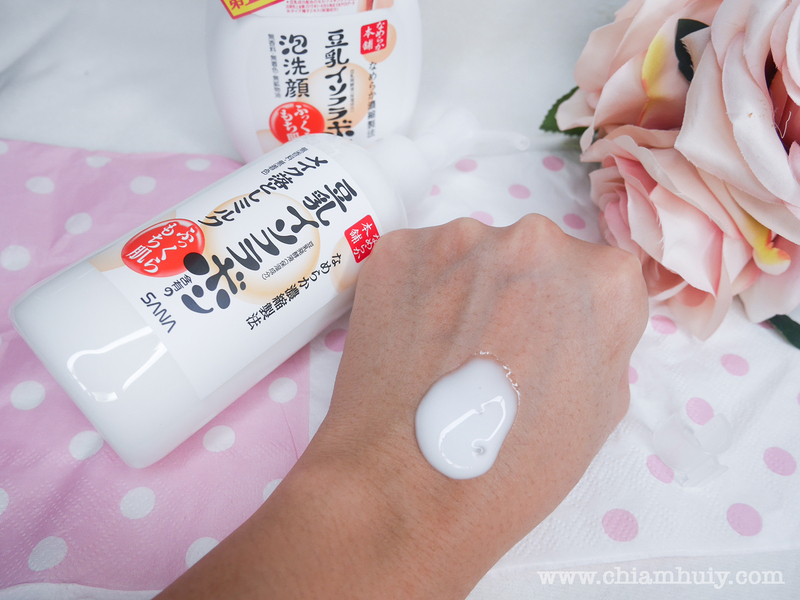 The SANA Namerakahonpo Cleansing Milk has a higher cleansing power compared to the cleansing mousse. It can remove makeup without even rubbing against our skin. 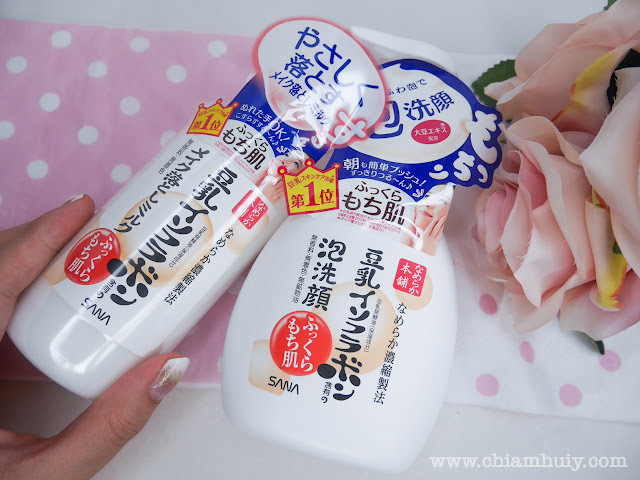 The main ingredients in this Cleansing Milk are Soymilk fermented liquid, Soybean protein and Soybean Seed extract and additionally, Soybean oil (to remove makeup). 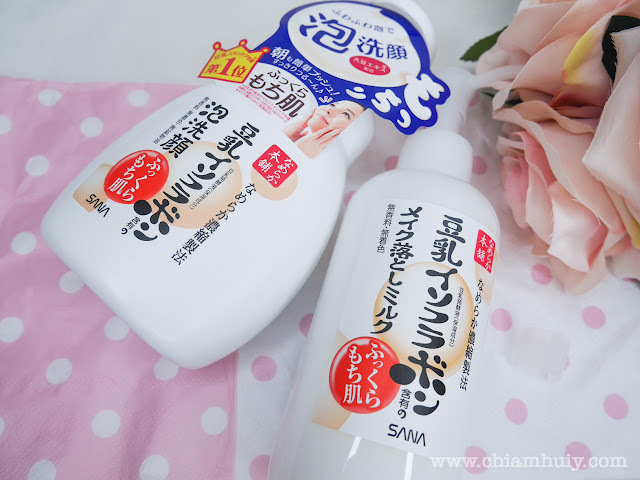 If you want an alternative to cleansing oil, and you know that cleansing wipes can be quite harsh to the skin, SANA Namerakahonpo Cleansing Milk will be the best option. It feels really gentle on the skin, but however it might not be enough for longer lasting make up. I recommend this for light makeup. The above are swatches of Revlon Matte lip balm, Clio waterproof eyeliner and two Laneige eyeshadow colors. All came off pretty easily so I was impressed, except for the fact the lip balm took a little longer to come off. 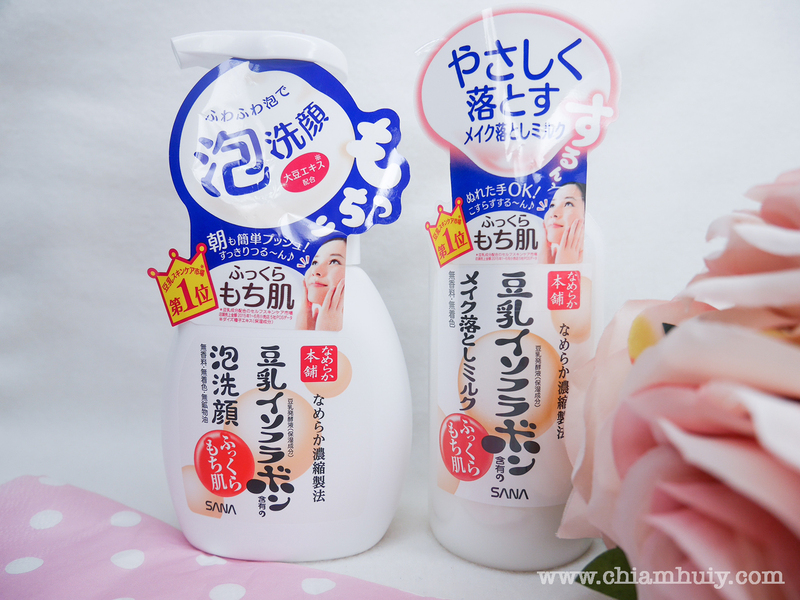 Both SANA Namerakahonpo Cleansing Mousse and Milk are available at Sasa Singapore, TOKYU HANDS Singapore, ALT Concept Store, John Little Singpore and Watson Singapore!